President Muhammadu Buhari yesterday declined signing the Electoral (Amendment) Bill 2018 into law, saying that it was capable of derailing preparations for 2019 polls. It was the fourth time he would reject the bill as previous rejections were based on observed errors. The President said he did not want to impose on the country the electoral uncertainty his assent might cause. He said that changing the rules a few months to the next general elections could lead to disruption and confusion. He asked the National Assembly to save the nation’s democracy by ensuring that the Electoral (Amendment) Bill 2018 comes into effect after the February 2019 polls. He also raised issues on four amendments to the bill and asked the National Assembly to revisit the observations. Buhari, who made his opinion known in a December 6, 2018 letter to the President of the Senate, Dr. Bukola Saraki and the Speaker of the House of Representatives, Rt. Hon. Yakubu Dogara, said he had decided to place the interest of the country above any other matter. The letter was titled,‘Presidential decision to decline assent to the Electoral Act (Amendment) Bill 2018’. It reads: “Pursuant to Section 58(4) of Constitution of the Federal Republic of Nigeria, 1999 (as amended), I hereby convey to the Senate my decision on 6th December to decline Presidential Assent to the Electoral (Amendment) Bill, 2018 recently passed by the National Assembly. “I am declining assent to the Bill principally because I am concerned that passing a new electoral bill this far into the electoral process for the 2019 general elections, which commenced under the 2015 Electoral Act, could create some uncertainty about the applicable legislation to govern the process. “Any real or apparent change to the rules this close to the election may provide an opportunity for disruption and confusion in respect of which law governs the electoral process. “This leads me to believe that it is in the best interest of the country and our democracy for the National Assembly to specifically state in the Bill that the Electoral Act will come into effect and be applicable to elections commencing after the 2019 General Elections. National Assembly may override Buhari There were indications yesterday that the National Assembly may override President Buhari’s withdrawal of assent on the Electoral Act, 2018. Although several calls made to obtain the reaction of the Chairman, Senate Committee on Media and Public Affairs, Senator Aliyu Sabi Abdullahi, yielded no result, a source close to the leadership of the Senate said the National Assembly would likely override the President on the Bill. It is, however, not clear whether the two chambers of the National Assembly can muster the required two-thirds majority to override the President. The source said: “It is obvious that the National Assembly has bent backward almost to breaking point to give the President the benefit of the doubt. “The National Assembly has no other alternative but to override the President because nobody is in doubt that he does not want to sign the Bill.” “The days ahead will determine what will happen.” Senators express divergent views Former Senate Leader, Senator Mohammed Ali Ndume, and Clifford Ordia, who spoke with our correspondent in separate interviews yesterday, expressed divergent views on the refusal of the President to sign the Electoral Act amendment Bill. Ndume said the President must have his reasons for declining assent to the Bill. But the Borno South senator said the National Assembly was at liberty to respond as it deemed fit. He added that the rejection would not affect the conduct of the 2019 general elections, saying “the President does not conduct elections.” He said that the Independent National Electoral Commission (INEC) is the body in charge of elections. “All the president needs to do is to provide the necessary support, which I am certain that he has done,” he said. Ndume added: “I cannot fully comment right now since I am not aware of the reasons given by the President. “I am sure his reasons will be contained in the letter addressed to the leadership of the National Assembly. Let us wait and see till next week.” Senator Ordia, on his part, noted that the rejection of the amendment bill by the President was a clear sign that the APC was not ready to conduct a free and fair election. The Edo Central senator said that the rejection will further cast doubt on the ability of the President to give Nigerians an election that will be accepted by all. Ordia said: “Many of us are not surprised. We knew the amendment bill was not going to be signed. “The earlier excuses advanced were just to distract everyone. “Now that we know, we also need to go back to the drawing board as a party and find a way to counter any plans the APC will be hatching.” PDP campaign urges N/Assembly to override Buhari The Peoples Democratic Party (PDP) Presidential Campaign Organization (PPCO) yesterday charged the National Assembly to save the nation’s democracy by immediately overriding President Muhammadu Buhari’s refusal to sign the amendment of the Electoral Act. The PDP Campaign said the legislative action had become imperative as the President’s decision was a calculated attempt to hold the nation to ransom. In a statement signed by the spokesman, Kola Ologbondiyan, the party said the President’s action was capable of injecting crisis into the electoral process and ultimately scuttle the conduct of the 2019 general elections. The opposition party insisted that the President was avoiding free and fair contest. The statement said: “President Buhari’s repeated refusal to sign amendments passed to check rigging in the election raises issues of his sincerity of purpose and has the capacity to trigger political unrest and violence, which can, in turn, truncate our hard-earned democracy. “The PPCO invites Nigerians to note that this is the fourth time President Buhari is withholding assent on the amendment, without any cogent reason following his rejection by Nigerians. 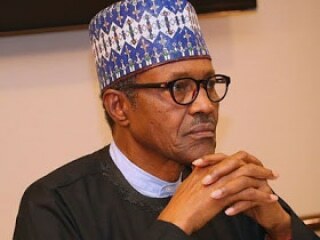 “Nigerians can recall how the Buhari Presidency plotted to plunge the 2019 elections into a needless controversy by delaying the submission of the election budget to the National Assembly, presenting it at the time the legislators were commencing their annual vacation and asking for virement of funds already approved for development projects, instead of sending a fresh supplementary budget for the election. It urged the National Assembly to save the country’s democracy and veto the President’s assent. According to the umbrella organisation of all registered political parties and political associations in the country, “it has become obvious that while President Buhari may ordinarily wish to ensure credible electoral process, some persons around him, which constitutes the cabal, resent free and fair contest and may have again deceived him into withholding assent to the bill. “The CNPP as a body conceived as a common platform for political parties in Nigeria shares common concerns of well-meaning Nigerians on issues bordering on rule of law, promotion and defence of democratic principles and practices. “Therefore, this singular rejection of the Electoral Act Amendment Bill (2018) by Mr. President is another repressive attempt to stem multi-party democracy and have completely removed the last hope of level playing ground for all political parties in the forthcoming elections. “It is ironical that President Muhammadu Buhari has been promising free and fair elections and at the same time refusing to give effect to the only instrument that would have proven his commitment to credible electoral process in 2019.